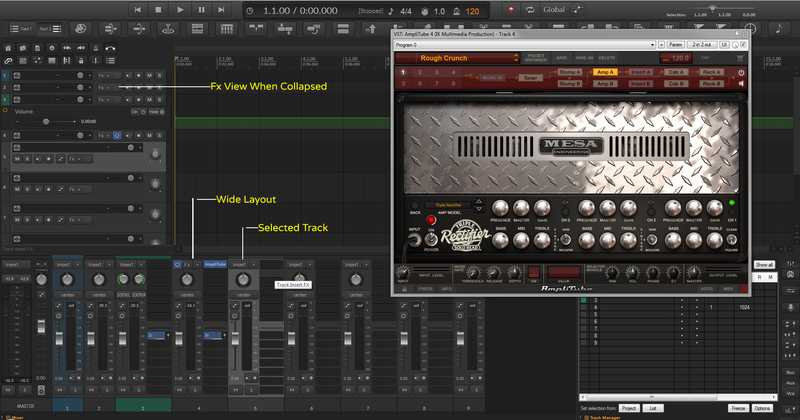 I Logic NeXt are a mix between I Logic and my self idea :: A Video tutorial Soon! Each Updates Will Free !! If your not receive your update Send me a email. Last edited by Blankfiles; 03-30-2017 at 10:08 AM. Looks great! I really like your visual interpretations. Very nice!! Will the channels be colorable? I still prefer current iLogic though (apart from double pan which is awesome). This seems a bit overcrowded by icons... but this is just the first screenshot, I'm sure it will get awesome! 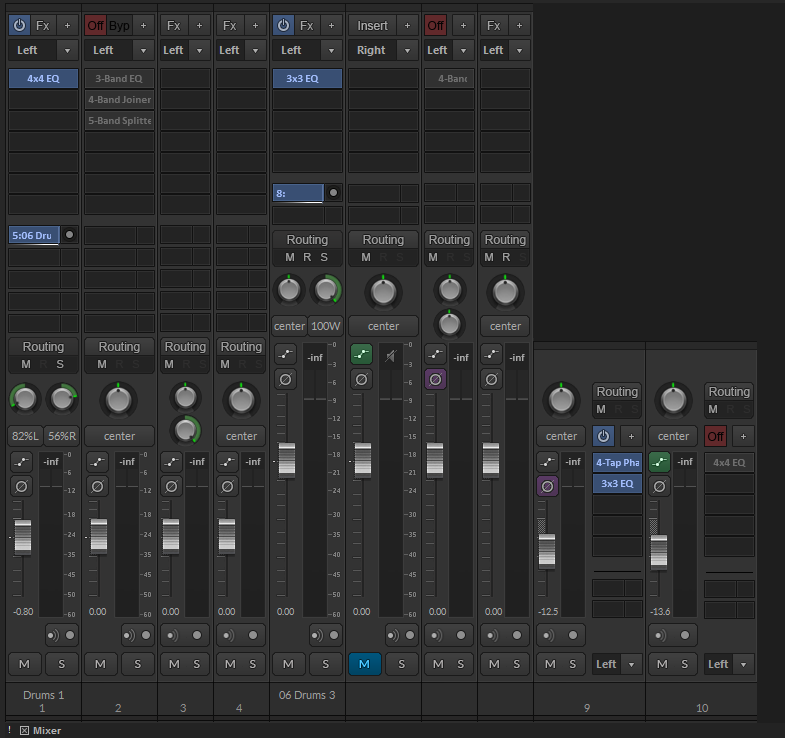 Also a light version is a good idea, to me its a bit too dark atm, nice for late night mixsessions, but for rehearsing and live i recall the default skin. Maybe you just haven't got there yet because I see you are using different buttons now for the toolbar. Imho, I don't like those. A little too flat and generic, the black border is quite strong, too. I think a fill of the gray color from the other buttons and the same [smaller] bevel would seal the deal. I should add, the bevel on the transport buttons is fine, because they're larger and have more negative space around them. 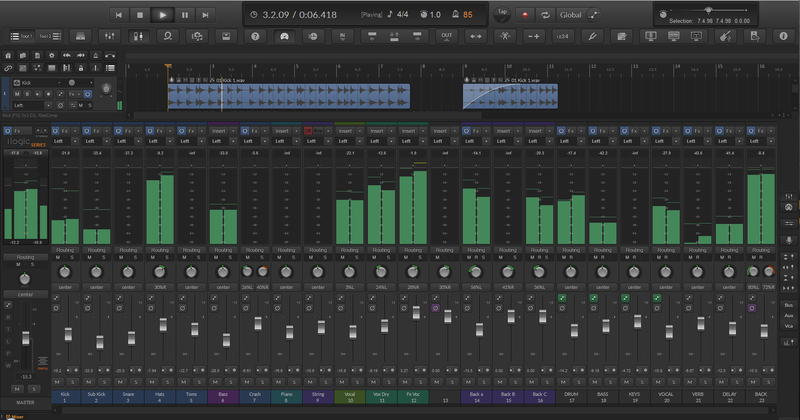 Oh, and I also see that on track 12 and 13 in that last screenshot the 12 and 13 are being clipped off. 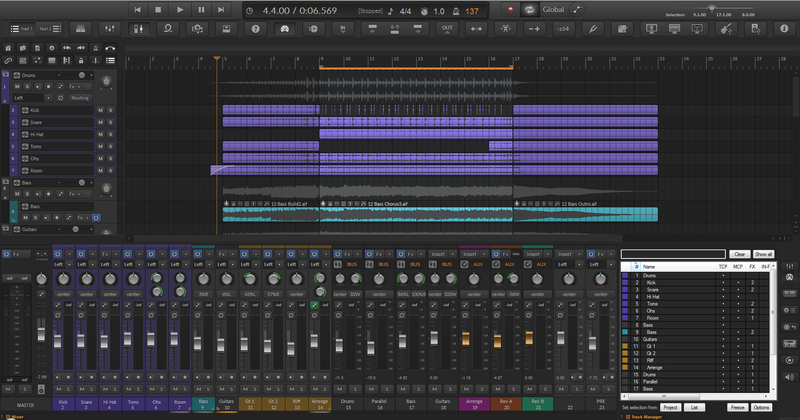 Blankfiles, this new theme (logic inspired) looks really awesome. Thanks you so much for you effort, great work! In my case, I am really looking forward to the light grey version. Can you please make a third variation, a 'broken' white edition as well? What do you think about this way of coloring (see attachment)? I am not sure if it's possible with this dark theme. Last edited by marsmellow; 09-11-2016 at 08:08 PM. 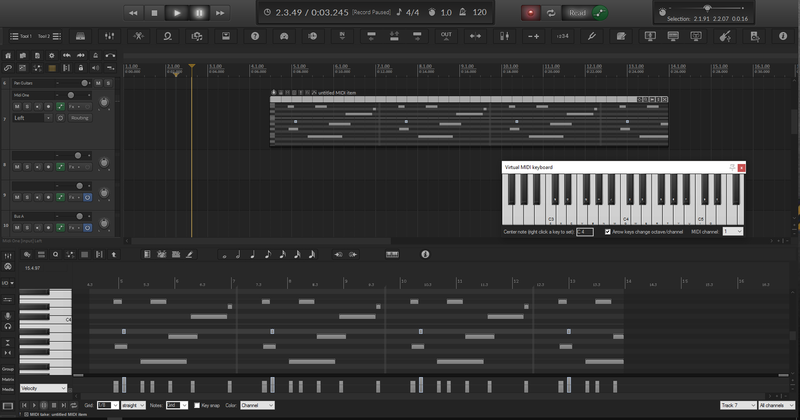 By the way, I like the double pan option (Track 5, Piano). Sorry for being that excited...another question. 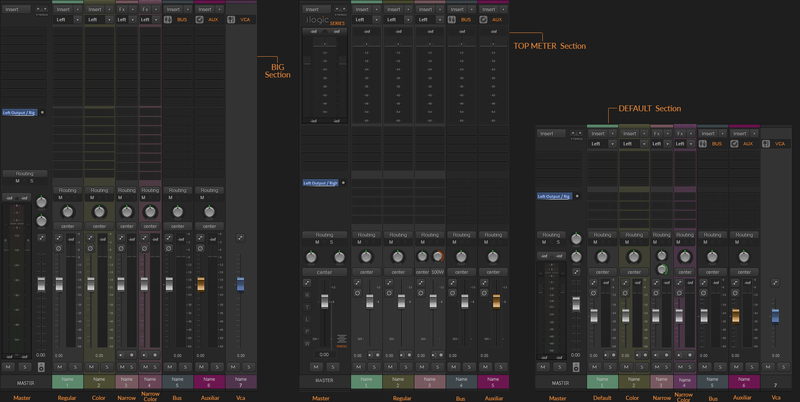 Can you also offer the option to activate big sized channelstrips for the mixer layout? Yes it's possible ! I cannot color all the buton but all the track same intensity color yes ! Absolutely Fabulous ! Any release date please ? 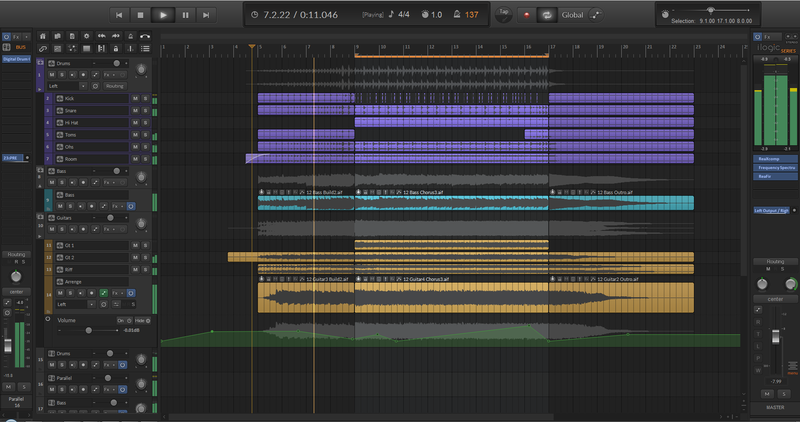 Work In Midi Section !! Looks good, some very nice ideas there. 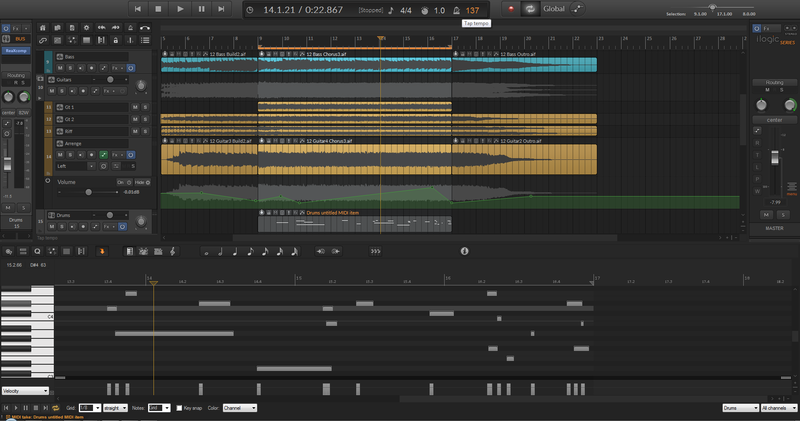 About that MIDI Editor, not sure why you decided to reverse the piano roll row colours? They (row colours) could also be closer together and more separated from the background to make the editor slightly more coherent. The large toolbar icons look great! Really digging this one. Great job @Blankfiles. Clean and clear to the eyes and keep its simplicity. Have donated and has I logic theme. Great piece of work. Allow "show in track controls" so there is a button in tcp that control a parameter <---- when I try this feature nothing happens in your I logic theme. Last edited by unique; 09-18-2016 at 12:51 AM. Yes thanks I will change that ! I want to live PEACEFULLY PLEASE WORLD "LEADERS" GET THIS DONE/LET IT BE FOR GOOD AND MAKE HISTORYYYYYYY! Thanks. So great ! I would expect you to release this version ... I would definitely buy or donate to this version. How much of a donation is enough to: 1. Show REAL appreciation 2. Not break the bank 3. As low as possible without appearing cheap. I like it veeeeery much). 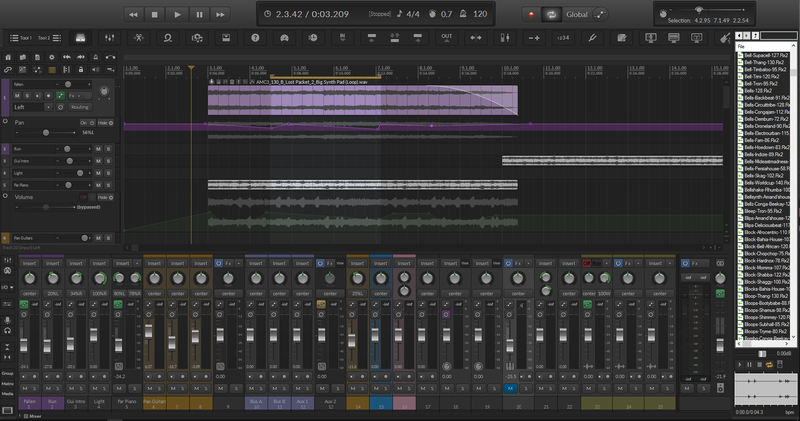 BTW I take this theme as it is: I don't compare it to other themes of any DAW, I just like this one so much more than the rest. Period. No further support until original I Logic flaws are resolved! This is exactly what happend with AlbertXXXX and V5 THEME :: Pro X-TOOLS Gold ED. V3. Off into never-never land ....... Was fairly generous with initial donation, but will be very careful now. The last 'meter' issues are unacceptable. hehe you give what you can that is not important for me how much you give ! I would like someone who know very much reaper function and midi thanks ! Good to see this is progressing. I don't have the time to help beta test but I'll donate when it's available! Volunteering for testing Logic Next ! I work on Macbook Retina 2015. I have time to test. I have decent global knowledge about Reaper. 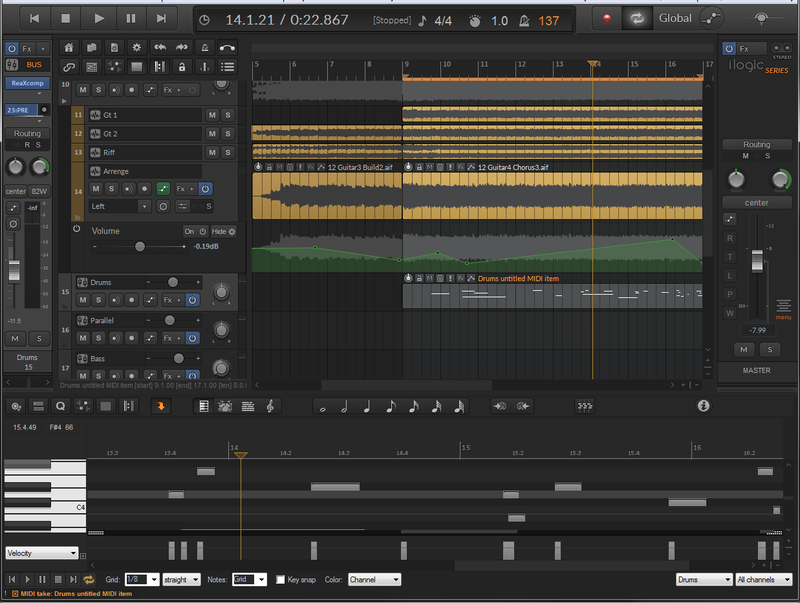 I have a good knowledge of REAPER and its functions as well as the MIDI protocol. I also have time available to test this beautiful theme in many ways, including as to the visual aspect. If you wish, you can include me in the beta test list. You can contact me PM or at juca dot iai at terra dot com dot br.